Like it or not, we’re living in increasingly desperate times. Many of you have been watching the latest and greatest forecasts for food and gas prices and are wondering how you can possibly take any more financial blows. Whether you are just looking for ways to cut unnecessary spending, or you’ve genuinely reached the most desperate times, we hope this article can give you ideas and alternatives to help you make it through! If you haven’t already done so, you will need to make careful observations about what you are spending on a regular basis. Many of us (especially in the United States) have unlimited access to expensive food, entertainment, activities and shopping that we may not think twice about (until times get REALLY tough). Where are you spending your money and what truly qualifies as unnecessary spending? Though the answer to this question may not be the same for everyone, you should carefully consider what your priorities are, and focus on removing expenses as needed. With closer inspection, you might be surprised how much you spend on extra activities (such as movies, dining, drinking or even driving). It is extremely important to set strict limits on costly activities, but it is also important to remember that spending time with friends and family (or your partner) doesn’t HAVE to cost much of anything. Try inviting people over for a movie night at your house instead of paying to see a film in theater, or have some friends over for BYOB! Drinking a few beers at home is going to cost much less than hitting up the local bar or club. You could also try taking picnics at a local park, hiking, walking, bicycling, or other outdoor activities. If you have children, there are numerous free (or affordable) activities offered by local boroughs and school districts as well. 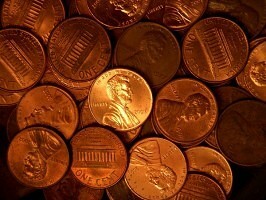 I grew up in a family of four so we spent most of my childhood pinching pennies. Clearly, vacations have never even crossed my mind as necessary, but I was surprised this year when my son’s kindergarten class asked each child to tell a story about where they went for their summer vacation. It occurred to me that there must be some part of the population who think vacations are necessity. If you do feel a desperate desire to get away from home, there are affordable ways to do so without spending on plane tickets and hotel fees. Maybe you could drive to visit a distant family member, or to a location close to home. You could also try your hand at camping. There are probably activities right next door that you haven’t yet explored: Try spending some time researching your local area. You might be surprised at what you find! All that said, if you are in dire straights, a vacation should probably be the last thing on your agenda this year. Though it may be difficult to let go of objects you cherish, it’s important to realize that things are just that; things. A 5’x5′ space at “Public Storage” can cost at best $93 per month. Because objects left in storage often become a burden to move (and never find a space in your home), it’s not uncommon for storage spaces to be rented for an extensive period of time. If you are already stuck in this situation, it’s probably time to stop by your space, take some photographs and advertise your items on Ebay or Craigslist. If you can’t let go of your family heirlooms, you might search for a family member or close friend to pass them on to instead. It’s the cold, hard truth; cable is NOT a necessity. The most affordable cable option in our area is just over $50 a month. Fifty can go a long way for more important needs like gas, food, or utilities… But, cutting your cable service doesn’t have to be the end of the world. You might be surprised how much media is accessible right here (on your computer). Internet by itself costs significantly less than cable or a cable/internet/phone package deal, and still gives you access to news, many of your favorite television shows, youtube and much more! Try hulu.com, A&E’s website or just about any channel website to find full episodes of thousands of shows online. Netflix only costs $10 a month and provides unlimited instant access to thousands of movies, tv series’, documentaries and children’s shows. If you have a gaming system or other means, you can watch these with great quality directly on your television set. Again, in the worst of times you should consider whacking your internet and cable completely (believe me, no one has ever died from internet or television deficiency). You can still find free internet access at most local libraries when you desperately need it, and libraries also offer affordable video rentals. With the introduction and rising popularity of cell phones, there is an entirely new situation arising: two or more phone bills to pay. The question is, do you need all these phones? People are often finding that a cell phone gives them everything they need by itself. Landline phones are increasingly expensive (and often get very little use unless you are a homebody). If you have more phones than you can talk on at one time, you probably have too many! Try dropping either your landline or cell phone. Another note: There are plenty of fancy internet phones with GPS and a wide range of games and goofy gimmicks: these are rarely necessary. A basic plan with a bottom-of-the-line phone is usually more than enough for the average person and it’s been my experience that the cheaper phones respond better to abuse (and won’t burn a hole in your pocket if you do accidentally drop them in the toilet). If you decide to keep your landline phone, you might consider removing extra services that you don’t use (such as long distance, call waiting, caller id, etc.). Credit is almost a necessity for anyone looking to make a large purchase in the future, but it’s a common misconception that if you have a credit card, you should use it. Debt is an easy way to lose significant amounts of money and credit cards are probably the most unnecessary debt/interest you can accumulate. The average credit card debt in the U.S. right now is $10,000 per person! Many people don’t realize that just having a credit card is enough to begin building credit. Keeping that card for an extended period of time (regardless of whether you ever use it) is going to be great for your credit score as well. If you do use a card/cards, it should be with the knowledge that you can pay back the full amount immediately (no, you do not earn more credit by paying smaller amounts more frequently). Remember, you are also building credit just by paying any loans or credit-card balances you do have ON TIME. This is an area that will probably rely heavily on where you live or the options available. Generally, if you are living in a major city, having your own vehicle is not only unnecessary, but may actually be an annoyance (due to parking and traffic). However, if you live in a more rural area, a vehicle is probably a requirement. When purchasing a vehicle on a budget, leasing, renting or buying new should be off limits. In fact, a new vehicle will lose $6,000 to $10,000 in value the moment you drive it off the lot! You will also want to be mindful of gas mileage, size and consumer ratings. There is rarely a need to waste money on a large four-wheel drive vehicle, but if you live in a location with questionable weather, you should consider smaller options such as an all-wheel-drive car. Large vehicles will undoubtedly hog tons of gas (and with the prices of fuel, that’s just not an option). You may also consider the frequency of the vehicle’s use. Buying a higher mileage vehicle may be appropriate if you work from home, are a homemaker, or rarely drive long distances. If you need something more reliable, you should look at vehicles that are at least several years old and have lower mileage. Not only will it be more affordable, but older vehicles will not lose value as quickly, are cheaper to insure, and if you can purchase with cash, you won’t be forced to carry full coverage. I’m a firm believer that education is paramount, but it is also becoming increasingly evident that wages are not balancing the costs associated with student debt. I’m amazed at how many of my classmates never worked a day of their life in their chosen field of study, but here’s an even more interesting observation: Having a degree or certificate for just about anything seems to be enough in itself to legitimize a job applicant. Currently most of the work I perform was never even a part of my college curriculum (which was only a 2 year degree to begin with). Having spent years pursuing what I WANT to do has taught me that employers look for experience and confidence above all things. They may require a degree of some type before they even glance at your application, but I have never once been asked to bring forth a copy of my graduation certificate or any other proof of education. Put simply, employers just want to know that you CAN do the job and that you can do it efficiently and effectively. Experience is the best proof of this, and getting experience may require a lot of effort with very little income at first. You may also find that college is not appropriate at all. If you aren’t completely enthused and passionate about a specific field of study, it’s probably not a financial risk worth taking. There is a job for everyone and every job is important. Knowing what you want to do and deciding the best (and most affordable means) of achieving it, is paramount not only to your current finances, but your future financial-state as well. I can think of few things more difficult than not being able to purchase an awesome gift for everyone in the family on Holidays and/or birthdays, but we’ve all been there: Sometimes you just don’t have anything to give. Though most adults will completely understand financial troubles, it can be incredibly difficult to explain these limitations to your children (especially when it leaves you feeling inadequate as a parent), but know that you are not alone. Millions of people struggle every day just to feed their families and many of us have confronted this problem at one point or another. First and foremost, toys and games are important. Children should have stimulation and be given creative ways to learn and thrive, but how many times has your child seen the latest, greatest toy on television and BEGGED to have it, only to play with it for a few hours and leave it collecting dust? There is an advertising epidemic taking over the world, and it’s no accident that they are putting children’s toys on the bottom-level shelves at the grocery store, advertising them on your child’s favorite cartoon shows and sticking them secretively into popular movies. Children are being accosted by advertising from every direction and nine times out of ten, they think they want something that they don’t really want or will never use. Because I’ve never had cable television (we have Netflix), I learned something very early-on from my 5-year-old… The less advertising he sees, the less begging and the less disappointment for both of us. It’s always been very clear that he loves creative projects, houses and things he can build with. It’s easy to go gift shopping and get something he not only likes, but uses on a regular basis. These are not always new toys either! I’ve often been able to find used toys at the local thrift stores (or online) that are in perfectly good condition. It’s also important to explain financial limitations to your children. There is nothing wrong with them understanding that things cost money and money is not limitless. This does not need to be a depressing or frustrating process. It’s unrealistic to expect your children to grow up without facing any financial struggles (no matter how much we would hope they don’t). Your children will learn from your financial decisions, and that’s a good thing! Clothes, decorations, electronics and gadgets, home-improvement, furniture, bedding… The list of available products is endless, and there is a reason WalMart is so popular. Though some of these items may be necessities under the right circumstances, they tend to become shopping hobbies for many of us. #1 Rule: Shopping should not be a hobby! I know plenty of people who go shopping just to “look,” and come home with an entirely new wardrobe. Buying what you need and buying what you want are two entirely different things. Unfortunately, the lines often blur between the two (especially when you are walking through a store and rationalizing purchases). I’m lucky enough to absolutely HATE shopping, but for some of us it’s not easy to walk into a store, grab what we need and walk out. For this reason, you should be highly aware of your own temptations. Sometimes it helps to write down what you plan to purchase in advance and refer to your list of necessities while shopping (even jot down a reminder: “ONLY THESE ITEMS!”) You may also find items at thrift stores or online at better prices (even better than WalMart). Also be careful to remain realistic about needs vs. wants. Though clothing is a necessity, a brand new item in your closet every weekend is not. I’ve easily managed to wear the same clothing without a significant shopping spree for nearly 5 years! The only items I purchase are replacements when a piece of clothing is worn or torn. In 5 years, I have made few clothing purchases for myself, including two pairs of jeans, a few shirts, two packs of socks and one package of underwear. Of course, shopping for children is more frequent (especially with those growth spurts). Consider buying used clothing for children (especially young children). Because toddlers grow so quickly, used clothing in barely-used condition is easy to find, and since they will outgrow it in a few months or a year anyway, it’s rarely worth it to purchase new items (unless you find an incredible sale).